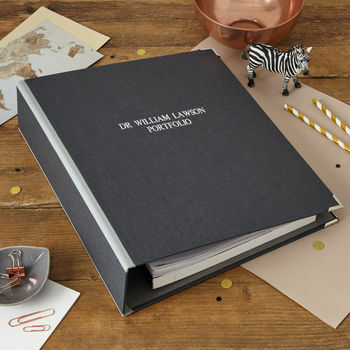 Our unique personalised lever arch files are individually handmade to order. 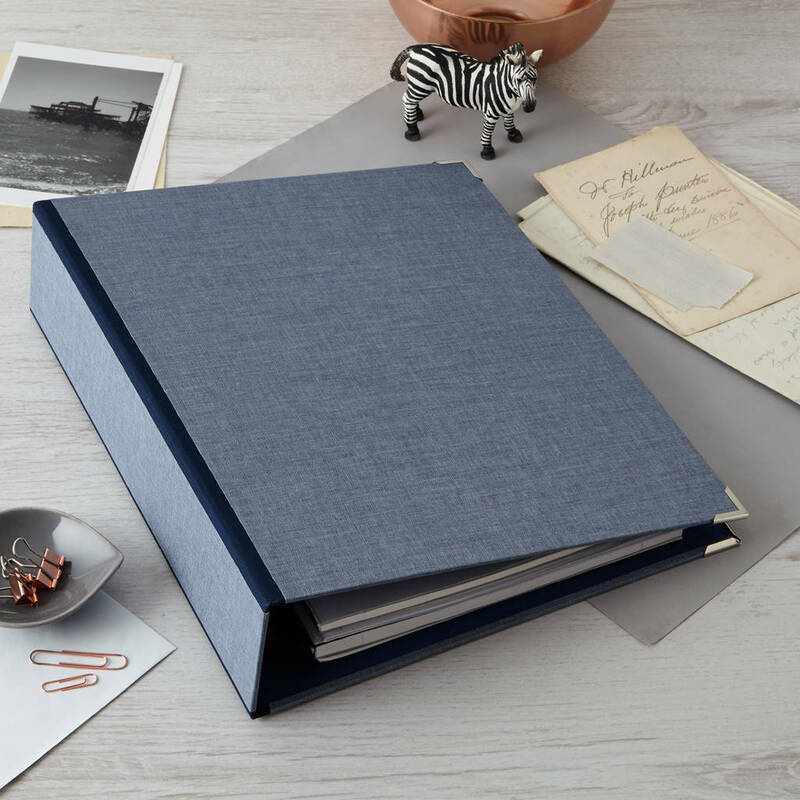 Whether it is in your office or home study everybody’s paperwork needs organising and this beautiful file does it with style. 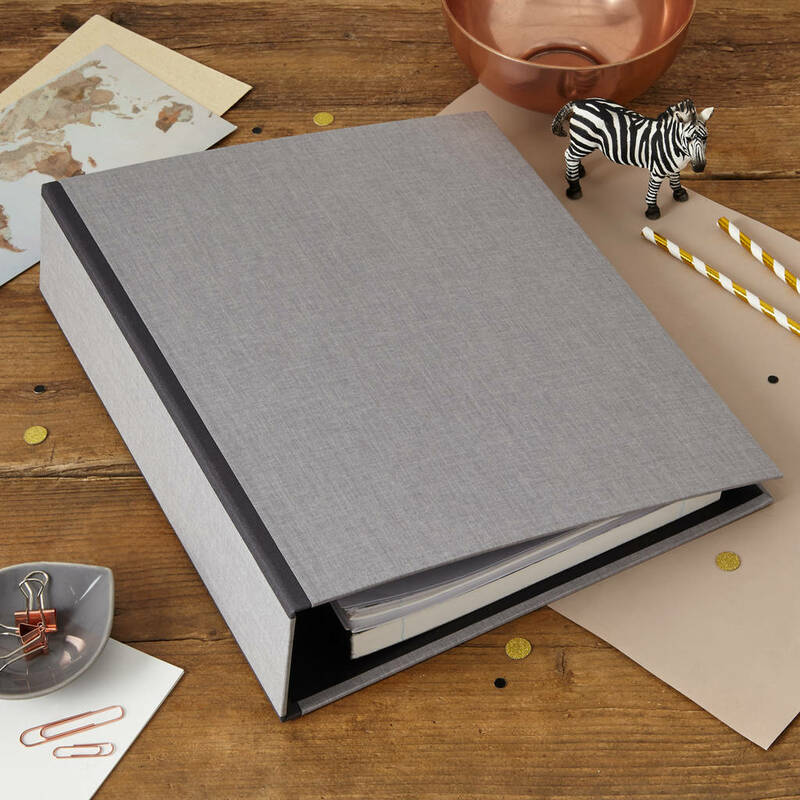 Makes a perfect gift for a stationery lover or student who wants something a little bit special, especially when embossed with a name, subject, date or saying....! 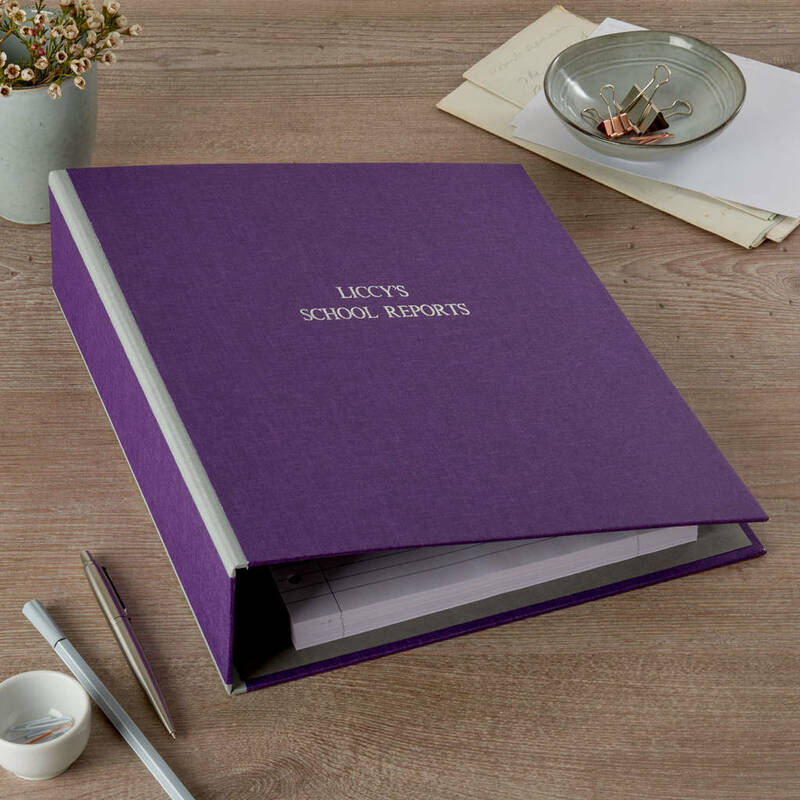 Whether for the office or in your home, everyone’s paperwork needs organising and this practical lever arch file does it with style. 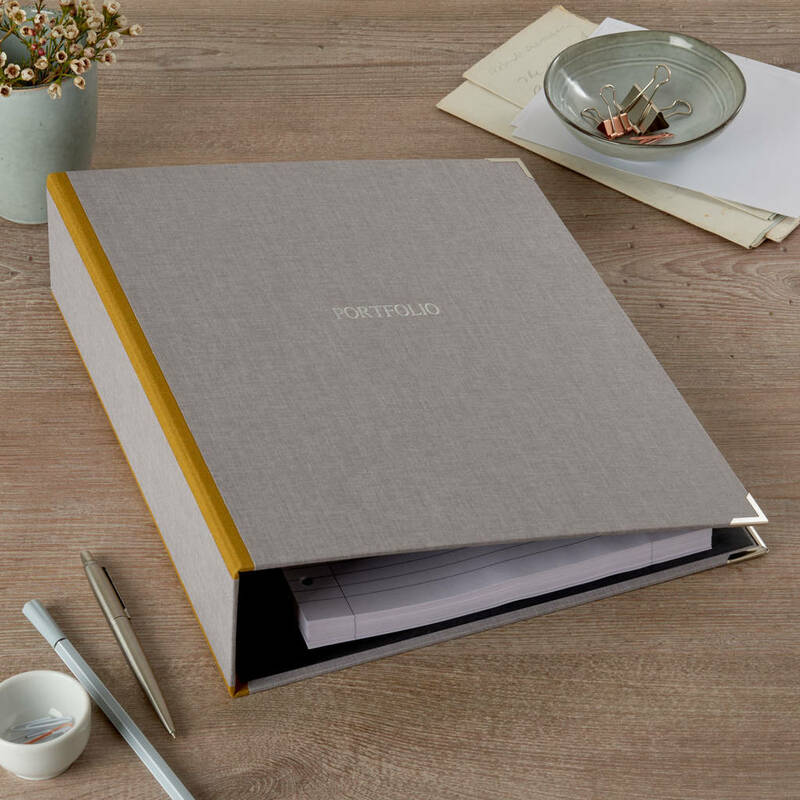 Many of our customers have their files personalised and find this especially useful for job interviews, presentations or for their medical portfolios. Other ideas would be Property Portfolio, Tax, Household Insurance, Instruction Manual etc. 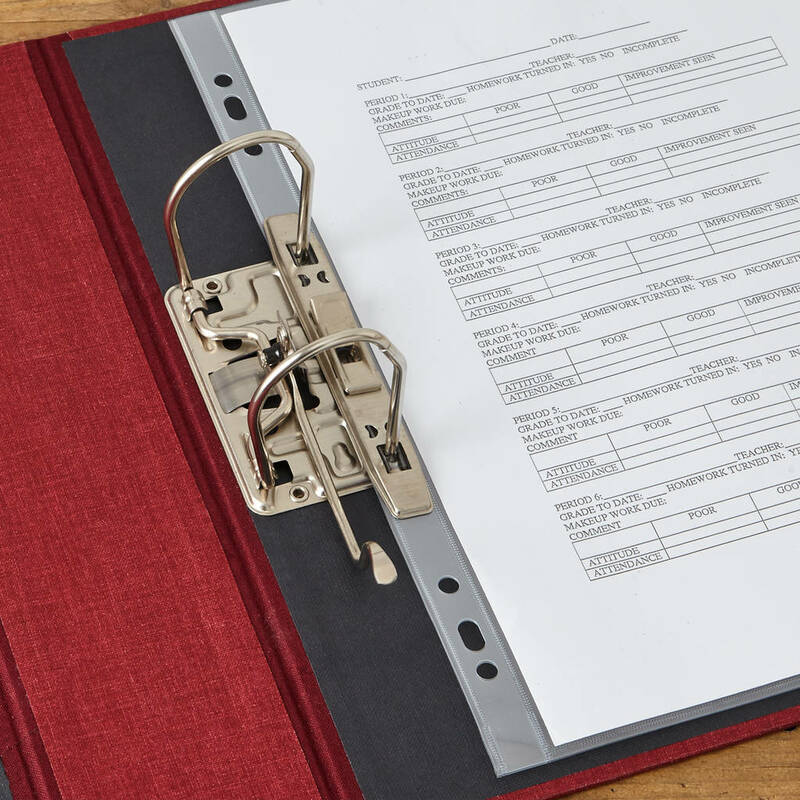 There are 2 widths of file available, standard (which covers any dividers used), or extra wide (which covers them). The personalisation can have maximum of 2 lines of text with 18 characters (including spaces) on each line, with an option of gold or silver foil. This can either be positioned centrally or on the bottom, right hand corner of the lid. Also another option for this handmade lever arch is chrome or brass corner protectors. 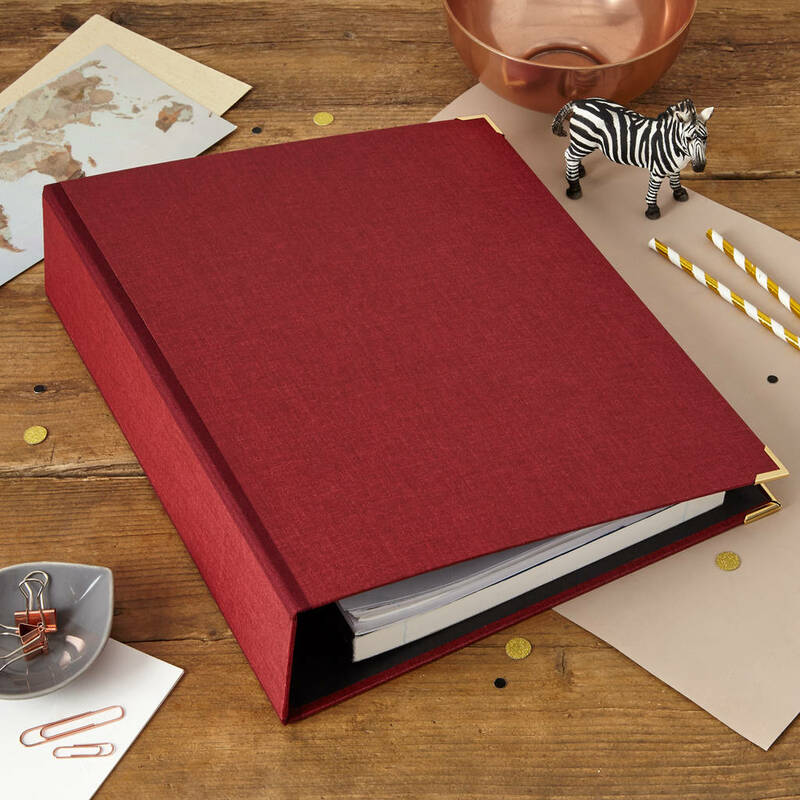 Our ringbinders are handmade to order in a large range of stylish colours all with carefully thought out complementary colours of hinges to suit each one. All Harris and Jones Lever Arches are handmade to order in these colours - Denim, Rouge, Forest, Charcoal, Silver Mist, Cumin, Ivory and Royal Purple. 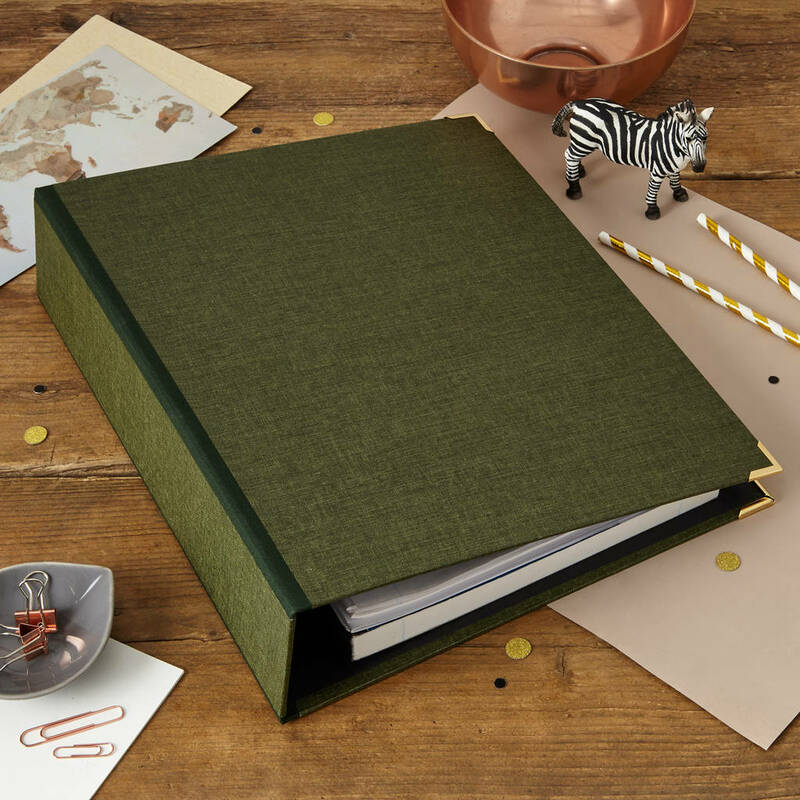 Other items available in these wonderful colours are wastepaper bins, keepsake boxes, box files, magazine files, journals, ring binders, organiser files, and photo albums. Most of these products can be embossed as well. We are very lucky to be working with some fabulous designers and designs, take a look at our other products we have available on Not on the High Street. 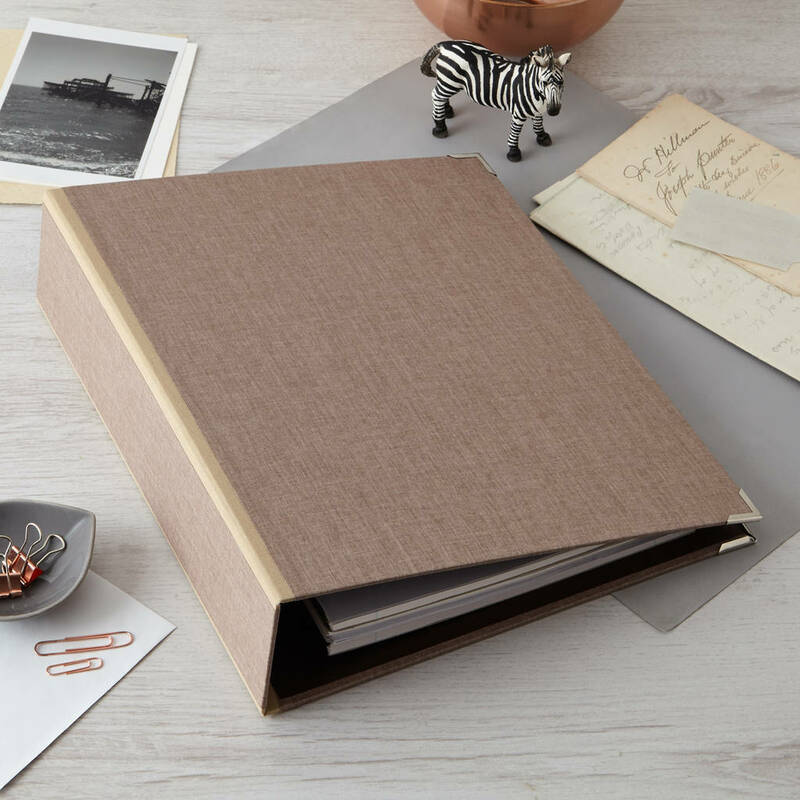 All our products are handmade using recycled wood and board, we then handcover every product individually using the design you have chosen. All materials are sourced within Britain (as close to our workshop as possible) to keep our environmental footprint to a minimum and also to make our life easier. Harris and Jones was started by my husband Steve (Harris) and I (Vanessa nee Jones) 2008. We decided that we wanted to run our own small, rural business and be involved with products that were useful, beautifully made and that had provenance. After much deliberation we decided upon luxury, handmade home and desk accessories. We started making the products ourselves using a few traditional tools and a very noisy gluing machine which was placed on top of our family dining table. Using the spare room as an office and the utility room for packing Harris and Jones was launched. These early days seem a long time ago. We thankfully have the family dining table back now having moved the business into a rural workshop a few miles away. 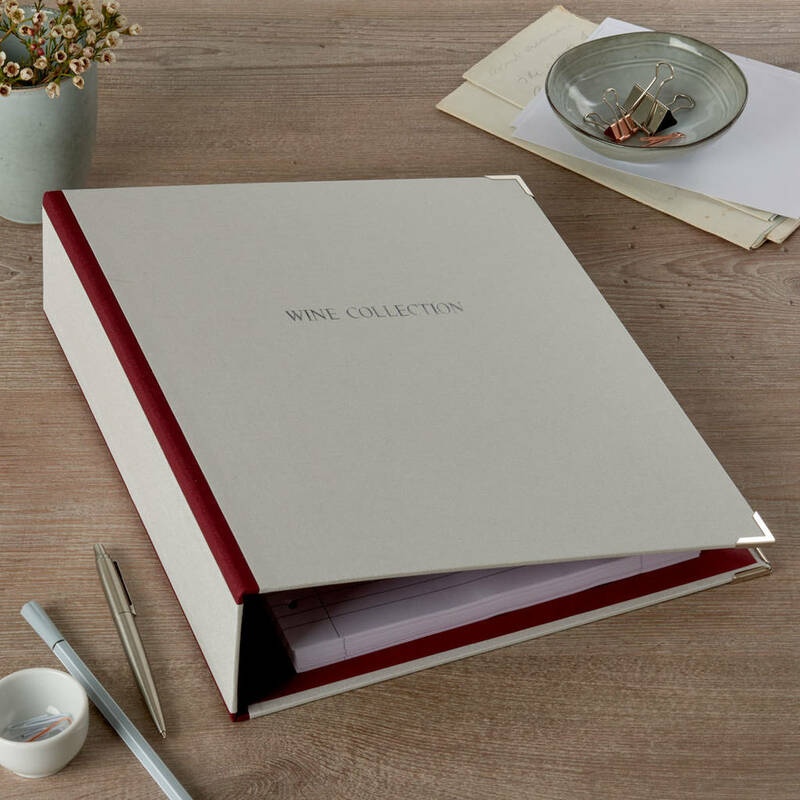 Collaborations with some celebrated British designers such as Nina Campbell, Neisha Crosland & Colefax and Fowler have been successfully and we continue to work with both established and new, promising designers. We have supplied luxury retailers such as Harrods and Fortnum & Mason with our collections as well as many smaller, independent family run retailers.